Connecticut has long been a leader in gun violence prevention. Homer Cummings, a mayor of Stamford who was appointed Attorney General by FDR crafted the first federal gun regulations, the Firearms Act of 1934. Following the assassination of President Kennedy, Senator Thomas Dodd led the fight in Congress to pass the Gun Control Act of 1968. But it was only beginning in 1993 that Connecticut emerged as a leader at the state level. For 25 years since its founding that year, CT Against Gun Violence (CAGV) has been at the forefront of passing strong state-level gun regulation. Even though the early 1990s were a time when common-sense gun laws were being passed by Congress (Brady background checks the most important), the founders of CAGV recognized from the outset that a strong gun control regime at the state level was essential to reducing gun violence in Connecticut. CAGV has led the nation in passing legislation that demonstrates “Smart Gun Laws Save Lives.” For the past five years, Connecticut has been ranked by the Giffords Law Center as one of the top three in the nation on the strength of its gun laws, and as having one of the lowest rates of gun deaths in the country (in 2017, it had the 5th lowest rate). From its inception, CAGV has organized grassroots lobbying efforts combined with its own expertise and strong relationships with elected officials to advance its legislative agenda. CAGV led the grassroots effort to ban assault weapons (1993); to implement the first Extreme Risk Protection Order (aka “risk warrant”) in the country (1999); to require reporting of lost and stolen firearms (2007); to require background checks for all gun purchases and to purchase ammunition, to further expand the assault weapons ban and ban large capacity magazines (2013); to prohibit subjects of domestic violence temporary restraining orders from possessing firearms (2016) and to ban bump stocks (2018). More on CT’s gun laws can be found here. CAGV was founded by a group of women from Fairfield County who were spurred to action by the urban gun violence that was ravaging Connecticut’s largest cities. But it was specifically the gun homicide of a kindergarten student on a school bus in Bridgeport that was the catalyst for Carol Leighton, a resident of Bridgeport, to call her friend Margaret “Pinkie” Ford to discuss bringing friends of theirs together to talk about what they could do. They decided their first legislative priority was an assault weapons ban. There was discussion at the time about a federal ban—arising in reaction to public horror at mass shootings over the previous several years—but it wasn’t assured of passage. The group first reached out to chiefs of police, who became influential allies. They built a grassroots coalition of church and school groups, and women’s associations, and received early support from legislators, including George Jepsen (who went on to become Attorney General), Mike Lawlor (who went on to become Under Secretary for Criminal Justice Policy and Planning in the Malloy administration), and State Representative Bill Nickerson from Greenwich. Despite being novices to legislative advocacy, the activists’ resolve led to immediate success. The CT General Assembly passed an assault weapons ban, one of the first in the nation, during the 1993 legislative session, the year before the federal ban was enacted. Recognizing that mobilizing the grassroots was critical to success, the group began building a network of advocates. 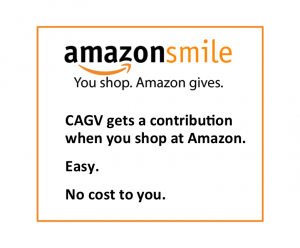 In just a few years CAGV had more than 3,000 supporters across the state, including a number of influential, high-profile, citizens. Fresh on its success passing the assault weapons ban, CAGV worked with Gov. Lowell Weicker, a strong supporter of common-sense gun laws, on passing a permit-to-purchase requirement, raising the minimum age to purchase a handgun from 18 to 21, and requiring a gun safety course. A study by the Johns Hopkins Center for Gun Policy and Research attributed a 40 percent reduction in gun homicides to the tighter measures for buying handguns, including background checks for private sales. As the all-volunteer organization set its sights on additional legislative action, and the political climate for passing gun legislation at the federal level and in Connecticut became less favorable, leaders of the organization decided it was time to professionalize CAGV. One of the original board members, Valerie Vincent, provided funding to hire CAGV’s first employees. CAGV was one of the first state-based groups to have a paid, professional staff, a trend adopted by other states as time went on and action at the federal level became next to impossible. Ron Pinciaro and Lisa Labella were appointed co-executive directors of CAGV in 2001. Pinciaro and Labella had crossed paths the year before, when the two traveled together for the Million Mom March a year earlier in Washington, D.C. on Mother’s Day 2000. The two collaborated closely until 2008, when Lisa left the organization for a full-time position, and Ron was named as the organization’s sole executive director. A key victory came in 2007, when CAGV successfully lobbied to pass a loss and stolen firearm reporting requirement to stem the diversion of missing firearms into illegal markets. Pinciaro and Labella worked closely with a newly elected State Representative from Stamford, William Tong, who sponsored the legislation. In 2015, Tong ascended to House Chairman of the General Assembly’s Judiciary Committee, through which all gun bills must pass. Pinciaro led CAGV for 16 years, until his retirement at the end of 2017. During his tenure he established strong working relationships with the leadership of the CT General Assembly, committee chairs and other legislators from both sides of the aisle. Ron became an expert on the intricacies of gun regulation and how to craft legislative language that could withstand court challenges and achieve their desired objectives. He also became a master of the process to pass legislation in the state assembly, guiding bills through the many steps required, starting with a legislator sponsoring a bill through to having it land on the governor’s desk to be signed into law. As Ron frequently told newcomers to legislative advocacy, “this isn’t debate class; it’s math class” referring to the need, after all was said and done, to know whether the votes were there to pass the bill. Keeping his eye on the prize—passing legislation—was one of the factors that led to CAGV’s history of success. Following the 1998 mass shooting at the CT Lottery offices by a disgruntled employee, CAGV worked with Mike Lawlor, then chair of the Judiciary Committee, to pass the nation’s first Extreme Risk Protection Order (ERPO), known in Connecticut as a “risk warrant.” In 2016 a study by researchers at Duke University, Yale and UCONN reported that one gun suicide was averted for every 10 to 20 firearms removed using ERPOs. In 2016 and 2017 other states—California, Washington and Oregon—joined Connecticut and Indiana in passing similar measures. Following the Parkland school shooting on Valentine’s Day 2018, carried out by a young man who exhibited obvious signs of violent behavior, these so-called “red flag” laws have received renewed interest. Nearly 20 years after the Connecticut law, Delaware, Florida, Maryland, Rhode Island and Vermont have all passed their own ERPO laws. Connecticut’s leadership on tough gun laws is why CAGV is regularly consulted by other state organizations looking to strengthen their own laws. The Sandy Hook School shooting galvanized the country like no other mass shooting. After that unspeakable horror, more than 5,000 citizens gathered on Valentine’s Day at the state capitol in Hartford for the March for Change, organized with CAGV’s assistance by two moms from Fairfield, CT (one of whom, Nancy Lefkowitz, now serves on the board of CAGV). Listening to the heart-wrenching stories of gun violence survivors, the determination of the crowd to force action was palpable. Lawmakers took note; two months later Governor Malloy signed the most comprehensive gun violence prevention legislation the nation has ever seen. Because CAGV had a 20-year track record of passing tough gun laws, the organization was consulted closely to help draft and pass the new measures; one of the first states to strengthen its gun laws following the shooting. An Act Concerning Gun Violence Prevention and Children’s Safety expanded the 1993 ban on semi-automatic assault weapons and for the first time banned large capacity magazines. It instituted criminal background checks for all firearm purchases, without exception, and required a permit to buy ammunition. Penalties were increased for firearm trafficking and safe storage requirements were made stronger. The bans on assault weapons and large capacity magazines were upheld by a U.S. District Judge in 2014 and again by the U.S. Court of Appeals for the Second Circuit in 2015. In 2016 the U.S. Supreme Court refused to hear an appeal. Following the landmark package of bills passed after Sandy Hook, CAGV turned its focus to the intersection of guns and domestic violence, which are inexorably linked. When a domestic abuser has access to a gun, a woman is five times more likely to be killed. CAGV worked with the CT Coalition Against Domestic Violence to prohibit subjects of temporary restraining orders from possessing guns, a measure that passed on a bipartisan vote in 2016. Despite the attention paid to mass shootings, CAGV has long recognized that urban gun violence and suicide account for many more gun deaths. The bills for which it has lobbied—lost and stolen reporting, permit requirements, safe storage, ERPO—all work to reduce these categories of gun violence. CAGV has also supported non-legislative means of addressing urban gun violence, especially Project Longevity, a group violence intervention strategy modeled on the successful Operation Ceasefire program piloted in Boston in the late 1990s based on the work of Harvard criminologist David Kennedy. In 2017 CAGV successfully testified before the Appropriations Committee in favor of restoring cuts to the program. In 2017, following an exhaustive search and review of dozens of candidates by the Board, CAGV appointed Jeremy Stein, Esq. as its new executive director, effective January 1, 2018. Stein is a seasoned litigator with over 20 years of experience. His interest in fighting gun violence began early in his career, when he served as a prosecutor with the criminal division of the Attorney General’s Office of the District of Columbia. Stein handled many gun related cases, working closely with the ATF, FBI, Secret Service, Capitol Police and the Metropolitan Police. Continuing its long string of legislative victories, Stein met with numerous legislators and marshaled grassroots advocates during the 2018 legislative session to ban bump stocks and other accessories that enhance the rate of fire of semi-automatic firearms. A bump stock is what the shooter used at a 2017 Las Vegas outdoor concert to kill 58 and injure more than 500, spraying the crowd with more than 1,100 rounds in just 10 minutes. Just as Newtown led to a surge in grassroots engagement on the issue, so too has Parkland, leading to another watershed moment in the gun violence prevention movement. Assisting students from all parts of the state to learn about and become effective advocates for change, CT Against Gun Violence continues its legacy of mobilizing ordinary citizens of all ages to drive change that saves lives.